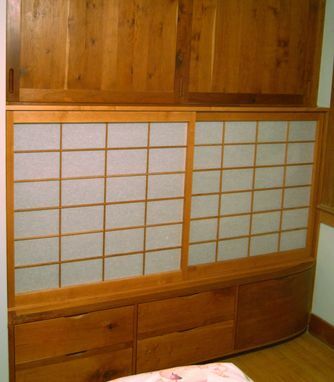 For this project I designed a pair of Japanese-style sliding shoji doors -- as well as adjustable shelves -- for an existing built-in storage unit in a clients' master bedroom. The doors slide side-to-side and can be lifted out for easy cleaning. The paper is a tough synthetic shoji paper. I build shoji and other types of Japanese screens for different types of installation. 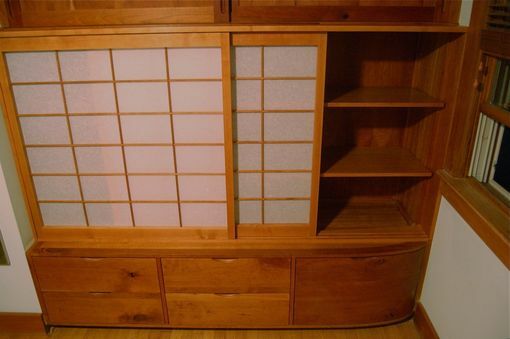 Please inquire about other types of Japanese shoji and screen work that I do.